I have owned a long arm for about four years but still consider myself a beginner. I love the look of edge to edge pantographs and so do my local clients. I need to push myself to do more free motion work and was inspired by a class with Handiquilter Ambassadeur Angela Walters. 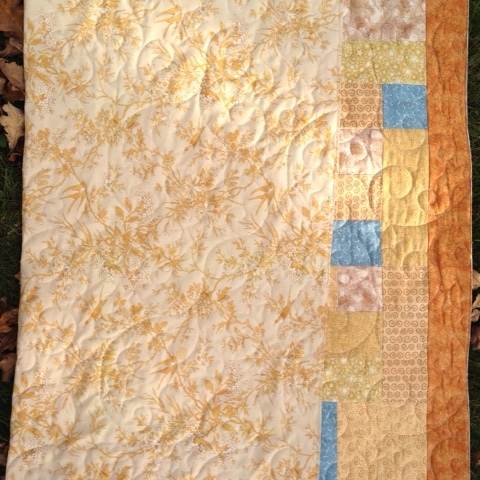 Since the class I haven't done much practice but I have a quilt that is nearing completion that I will practise on. I was given this quilt at my Wednesday quilt group and as is often the case, given free rein with the quilting pattern. I have trusting clients. 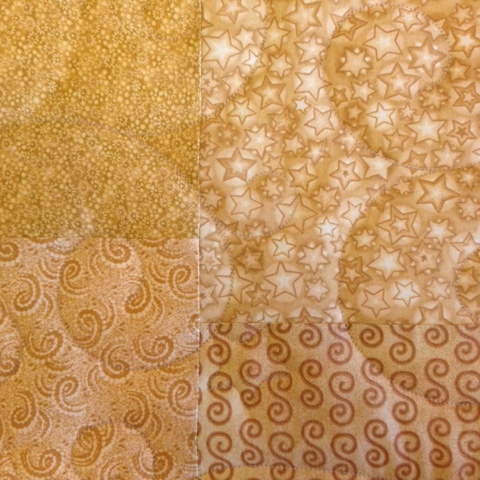 I picked out the Elegant Swirls panto as it incorporated stars and swirls which were in several of the fabrics. I used a goldish coloured thread to blend but I also like the look of a bold multi-coloured thread. Another thing that I do for most customers is trim their quilt before returning it. I have been advised by a professional that it's not the done thing, but I like how the quilts look in photos and when customers get their quilt back they can immediately sew on the binding. If they've been clever, they've even prepared the binding whilst I've had their quilt. 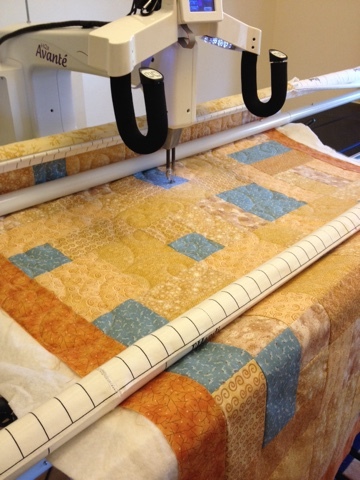 Do you send your quilt out to a longarmer? Or do you prefer to finish the whole quilt yourself?